What are some of the most memorable corgis from pop culture? We’ve talked about a lot of small dogs on our site such as the Mini Hippo Dog and the Miniature Shar-Pei, but none are as iconic as the Corgi. Officially known as the Pembroke Welsh Corgi, this breed is a lively herder that may be short but has powerful legs to help them run around. 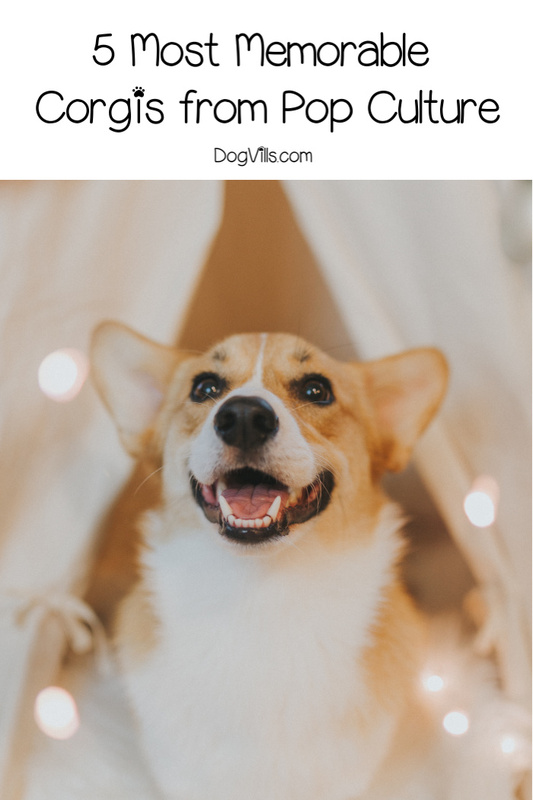 Corgis are extremely friendly, which makes them great for families and they are relatively easy to train compared to other breeds. Something that I love about them is their sweet little faces and big ears, especially when they are puppies. Pop culture is full of memorable dogs and there have been quite a few Corgis that have made themselves known on social media and film. Let’s check out the top five! Queen Elizabeth II is the current Queen of England and it is public knowledge that she loves to have Corgis in her family. When she was just seven years old, her father, King George VI, gifted her with her first Corgi pup and since then she has always had them. Dozens of Corgis have had their place beside the Queen, as well as Dorgis, which are a mix between a Corgi and a Dachshund. Something that is quite interesting is she has overseen the Corgi breeding program that took place at Windsor Castle and even continues to walk her dogs at the age of 90. It is always sad when a beloved pet passes away, but the Queen makes sure her pets are honored by burying them at Balmoral Castle, which is the Royal Family’s estate in Scotland. Stephen King is the master of creating horror novels, with many of his books being adapted for both television and film. Something that you might not have known is that he is a lover of Corgis and currently has one called Molly, although he likes to nickname her ‘The Thing of Evil’. Only the king of horror could tweet such a thing. However, Molly isn’t his first Corgi as he owned one in the ‘90s called Marlowe. He has even added Corgis into a few of his books, such as Under the Dome . Cowboy Bebop is an anime TV show that aired in the early 2000s and featured an adorable Corgi called Ein. He quickly became a beloved character to many, who was portrayed as a crazy smart data dog. He was genetically engineered in a lab to have intelligence superpowers, so his name is quite fitting given that it is short for Einstein. Most of the time he acts like a normal dog, but sometimes he will use his computer hacking skills. Quite impressive if you ask me. If you are a fan of following sweet pooches on social media, then you may have heard of Loki the Corgi. He lived with his owners, Tim and Viv, in Vancouver where he enjoyed walking on the beaches and playing with their pet hamster. On Facebook, Loki had a total of 800,000 fans and on Instagram, he had 700,000 followers, which is quite a lot for a canine. His owners loved to dress him up in costumes, which has seen him roleplaying as Happy Potter, Sherlock Holmes and Pikachu. Most start-up companies will have a mascot or company dog of some kind to keep them company. Amazon actually has quite a few, including the iconic Rufus. Back in 1994, Rufus was their mascot. The beloved Corgi was owned by one of Amazon’s first engineers, who would bring him to work. Rufus used to attend all the company meetings and would even chase his tennis balls around the office. While Rufus has since passed away, the company still allows people to bring their dogs to work and they are always posting images of them on their Instagram account. To remember Rufus, Amazon named an office building after him in Seattle. These go to show that these sweet dogs with long bodies and short legs are beloved by almost everyone. I hope you enjoyed reading about some of the most memorable Corgis in pop culture. Can you think of any other memorable Corgis in pop culture to add to our list? Share below!